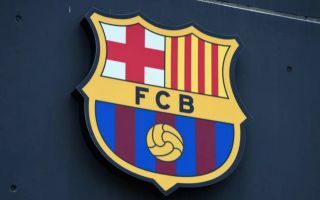 Barcelona and Juventus are reportedly set to lock horns in the transfer market as the Euro giants both target moves for Matthijs de Ligt and Adrien Rabiot. Given the quality that the duo in question possess, it’s no surprise that speculation suggests that two of Europe’s biggest clubs are keen on snapping them up. Both Barcelona and Juventus have issues in defence. The former suffering with a lack of quality depth amid question marks over Gerard Pique’s current form and summer signing Clement Lenglet’s impact thus far. As for the Italian champions, with the likes of Giorgio Chiellini, Leonardo Bonucci and Andrea Barzagli all over the 30 years of age mark, a long-term solution to replace them may well be needed sooner rather than later. As reported by Calciomercato, De Ligt has emerged as a target for both, albeit it’s claimed that the Catalan giants lead the race for his signature despite the fact that he could cost north of €50m. The 19-year-old has already made 74 appearances for the senior Ajax side after making his breakthrough in the 2016/17 campaign. With plenty of talent and a bright future ahead, he could be a sensible signing for either Juve or Barca. Meanwhile, via the paper edition of Corriere dello Sport, Calciomercato also note how the two clubs are set to clash over the signing of Paris Saint-Germain ace Rabiot. The 23-year-old will be available on a free transfer next summer as it stands with his current contract set to expire at the end of the season. Coupled with the fact that he possesses great technical quality and creative class to fit into Barcelona’s style of play perfectly, while also offering Juve a long-term alternative to the likes of Blaise Matuidi and Sami Khedira, it’s another move that makes sense for the two clubs. However, whether it’s in January or next summer, time will tell who comes out on top in the touted transfer battles.